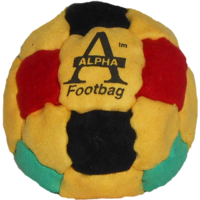 The Alpha pellet-filled footbag is named for the alphabet (26 letters, 26 pieces). 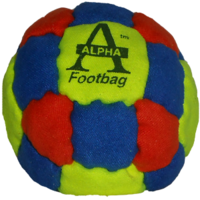 Unique to Flying Clipper, this hacky sack combines three different configurations of pieces; truncated hexagons, squares and truncated octagons giving this one an individual look compared to other designs. 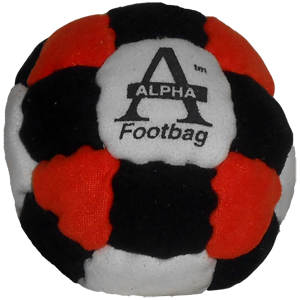 Remember when you purchase one of these, you are saluting the ones who invented it. 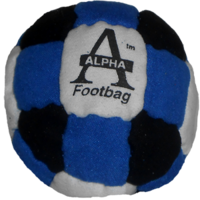 Potential for Alpha footbag dominance! 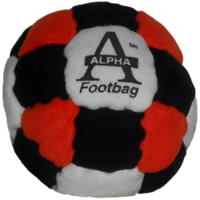 I recieved this cleverly designed footbag today and immediately loved unique design pattern. 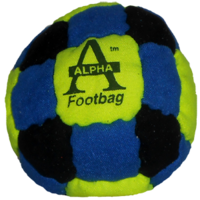 After kicking it for a while i must say it kicks as well as it looks and has that lovely soft broke in feeling like and old favorite you've been kicking for a long time. 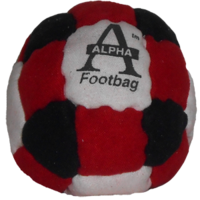 Great price and another great bag, thanks again flying clipper!